The City of Richmond has struggled recently with how to best use its acres of farmable land. While the debate rages on, KPU’s Richmond Farm School has begun focusing on its own solution to the problem. 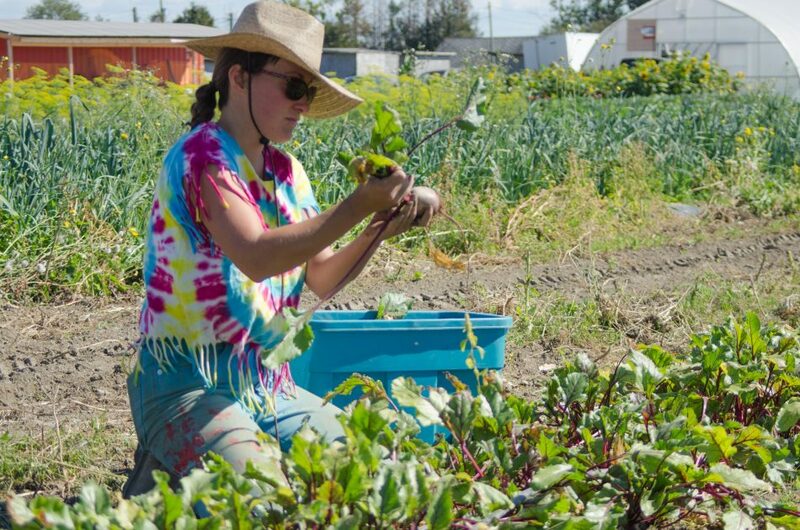 For its 2018 semester, the school has been redesigned to focus on small-scale urban farming to meet the needs of Vancouver’s changing environment. 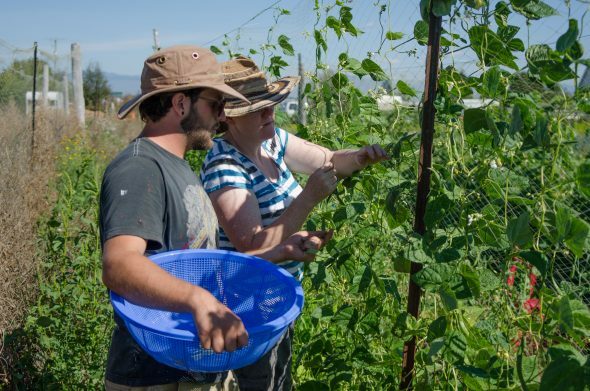 “[It] provided us a great opportunity to focus on small, super intensive, organic, hand-powered agriculture,” says Daniel Garfinkel, an instructor in KPU’s Institute of Sustainable Food Systems. The school, which sits in South Richmond, currently enrols 14 students, about 95 per cent of which are female. The program runs for nine months, with one day of class instruction per week, but the farm itself is open seven days a week. This allows students to drop by during the weekday for a more encompassing educational experience. Garfinkel says that students learn “a huge diversity of things” through the program, including how to make seed selections, farming and growing techniques, how to get involved in farmers markets, and business planning. One problem that the program encountered was that there’s a lack of usable land in Metro Vancouver. While the farm school in Tsawwassen sits on 20 acres, the Richmond Farm School has only one acre. Because of this, Garfinkel says that working within the program encourages creativity. Garfinkel says that roughly half of the food grown at the school goes to feeding students, staff, and volunteers. The remaining half gets donated to various charities which help marginalized communities, including women’s and Indigenous groups in Vancouver’s Downtown Eastside. “Our plan was just to feed the students but we’ve got the student labour. We’ve got the means to do so, so why not just produce a little bit more with what we already have so we can feed our community as well?” he says. The original plan was to only grow a handful of crops, but due to the students’ passion, they now grow 25 different crops, including garlic, tomatoes, carrots, and lettuce. Another reason for the program’s focus on small-scale farming is that there is high demand for it. Garfinkel says that community members lamented that there was no such course in existence in the past, so when the program was created last November, it was very well-received. Garfinkel himself has only been a farmer for 10 years. He was educated at the Tsawwassen Farm School, where he dreamed of teaching about agriculture to the next generation of students. He says that the farm school’s purpose is to provide students with the opportunity to learn and develop new skills that will enable them to take a life path that’s fulfilling to them.